You can get in touch by email, on our Berkshire, Dorset, Hampshire and Oxford Facebook pages or on Twitter @BBCBerkshire @BBCDorset @BBC_Hampshire and @BBCOxford. 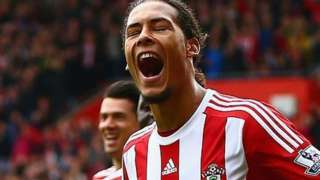 Southampton defender Virgil van Dijk hands in a transfer request and says he wants to play European football. 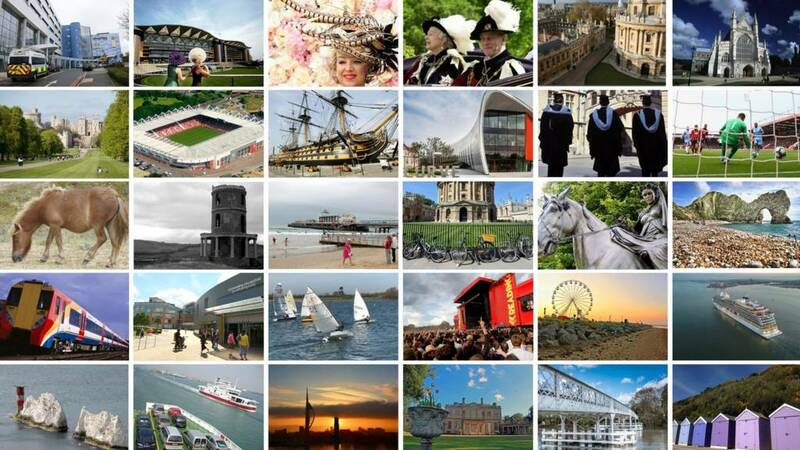 The BBC South Live service will resume at 08:00 on Tuesday when we will be bringing you the latest regional news, travel, sport and weather until 18:00. You can still get in touch by email, on our Hampshire, Dorset, Berkshire and Oxford Facebook pages or on Twitter @BBC_Hampshire, @BBCDorset, @BBCBerkshire and @BBCOxford. A man has been sexually assaulted on the Thames path in Reading. The 26-year-old was attacked in the early hours by a group of men after they tried to force him to withdraw cash from an ATM. A scene watch has been in place for most of the day but it has since been lifted. A fundraising campaign has been launched to restore the 300-year-old Chinese screen at Reading's Basildon House. News of the theft of the engagement ring on their wedding day went around the world. Lancashire lead Hampshire by 146 runs with 7 wickets remaining in day two of the County Championship. For all the latest click here. A competition to find a design for a new swift tower has chosen Jonathan Wheeler from Lower Radley, Oxfordshire, as the winner. His winning design will be built by the University of Oxford in the University Parks, subject to approval and consultation. A swift tower is a free-standing structure with lots of boxes for swifts to build their nests in. The competition is part of Oxford Swift City, a two-year project to improve the outlook for swifts in Oxford, paid for by the Heritage Lottery Fund. I tried to convey the sweeping, curving shape of swifts in my design and hope it will be a pleasing sculptural form in the park as well as a safe haven for swifts in the city. A man has been seriously injured after being attacked with a metal bar in a Dorset seaside town. The victim, aged in his 20s, sustained serious facial injuries in the assault in Hill Road, Lyme Regis, at about 01:00 BST on Sunday, police said. A 34-year-old man, from Lyme Regis, has been charged with inflicting grievous bodily harm with intent and assault. He is due to appear at Weymouth Magistrates’ Court today. A 33-year-old, also from Lyme Regis, has been charged with assault and possession of the class B drug cannabis. He is due to appear at the same court on 4 September. A third arrested man was released without charge. A stray lizard is on the loose in Hampshire, the RSPCA has said. The reptile has not been formally identified yet but is thought to be a type of monitor lizard. It is not a dangerous species but the RSPCA is urging people to "keep their distance" and contact the animal charity if they spot the exotic creature. The lizard was seen climbing the wall of a house in Silvester Close, Norn Hill, Basingstoke, on Saturday. RSPCA exotics officer Phil Hamilton said: “According to neighbours, the lizard has been seen over the last couple of weeks on the roofs of houses, so we are very keen to locate and confine him, to take him to a place of safety." A338 Dorset westbound severe accident, between A3060 Castle Lane West and A35 St Pauls Road. A338 Dorset - A338 in Bournemouth closed and queuing traffic westbound between Cooper Dean Roundabout and St Pauls Roundabout, because of an accident involving lorry and car. Campaigners have been fighting to reverse the downgrade of the maternity unit at Banbury's Horton General Hospital. The decision has now been referred to Health Secretary Jeremy Hunt. 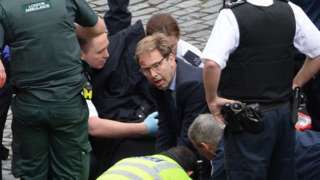 Tobias Ellwood says the "hardest thing" was explaining the attack to his young son. The Royal Navy's new £3bn aircraft carrier is expected to arrive in its home port within weeks, the Defence Secretary has confirmed. HMS Queen Elizabeth is due to sail into Portsmouth following extensive preparations at the naval base. The exact date is weather-dependent but is expected to be no later than 22 August. The 65,000-tonne ship has been undergoing sea trials since setting sail from Rosyth dockyard in June. Its crew currently includes personnel based in the South West, including Cornwall's RNAS Culdrose. Video caption: A newly married couple talk about the theft of an engagement ring on their wedding day.A newly married couple talk about the theft of an engagement ring on their wedding day.